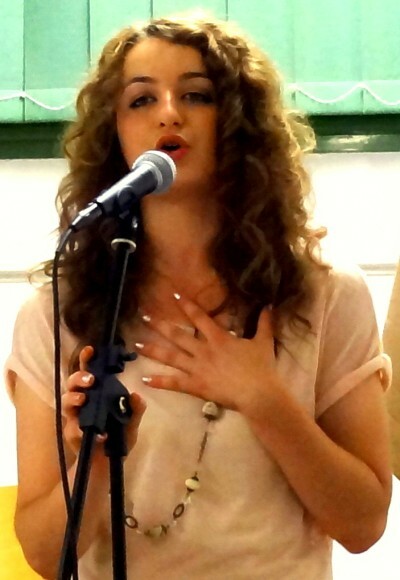 Last Saturday (29/06!) was Jayac’s Feu de St Jean…yes, it has taken me more than a week to find enough time to write this. The Summer season has well & truly kicked in, yet again disputing the myth that running gîtes is all about making a few beds on a Saturday and relaxing for the rest of the week! 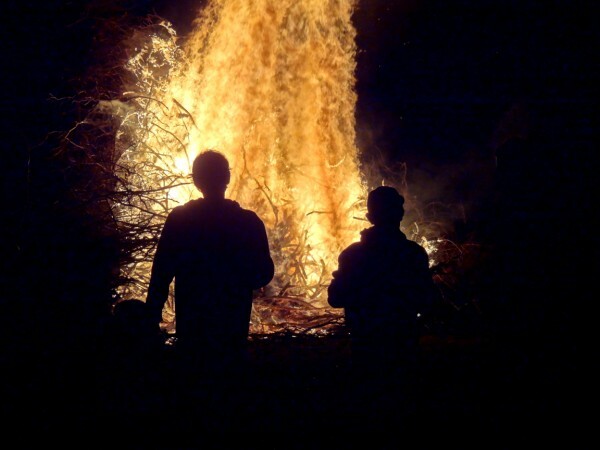 The Feu de St Jean is traditionally a religious festival to herald the Summer and culminates in a big bonfire. Luckily for us and unlike some other communities we weren’t expected to jump over the burning pile! Not so lucky for us is that most of the neighbouring villages hold their celebrations before Jayac and by the time our turn arrives most people are all bonfired out. Jayac doesn’t usually get a good turn out for this event which is exceptional as the community spirit here is very strong & most events are well attended. Still, we soldiered on – as usual Amar was at the helm of the BBQ, turning out chipolatas for French style hot dogs (expected low turnout = very restricted menu) to accompany the jugs of Sangria and endless bowls of nibbles. The band which normally provides the music were attending a wedding so after Emma’s successful first contribution to the Soirée Moule Frites she was asked to provide the entertainment. With the music and the eats all wound up the bonfire procession began. This involves a short walk up to the field where the massive bonfire is prepared days in advance. 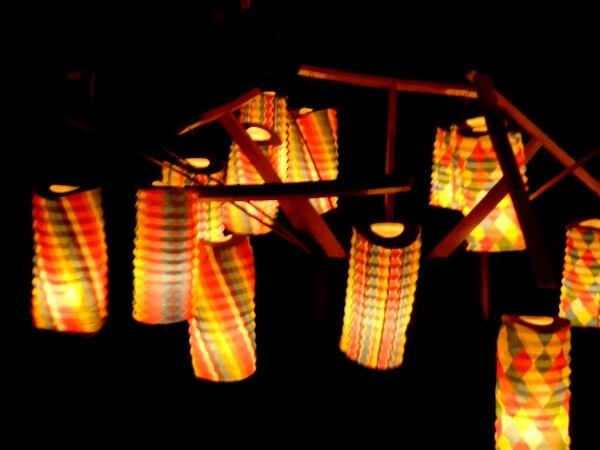 Traditionally everyone carries lit torches to light the dark counrty roads but this year the Commitée de Fête splashed out on some fancy coloured lanterns with little candles inside making the whole thing feel more party and less pagan! Up at the bonfire even the health & safety rules had taken on a new feel. The usual precautions consisted of men, women & children getting up as close and personal as they could to the waiting woodpile while someone doused the whole thing with copious amounts of petrol and tossed in a lit match. Everyone would then wait until they could feel their eyebrows just beginning to singe. At that point someone would shout that it was now time to get back and the crowd would obediently ebb away – or something along those lines. This year"s meagre crowd as the others sat well back eating doughnuts! 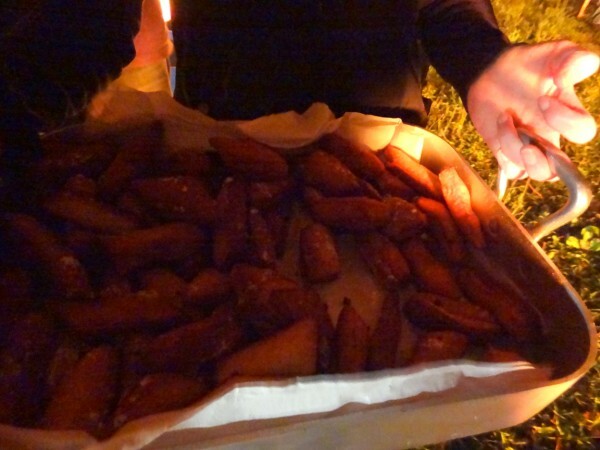 This year though, benches were provided, set well back from the fire and baskets of doughnuts and drinks were handed round which had the automatic effect of keeping the spectators away from the flames, eats & treats being a much more attractive option than burnt facial hair! There is talk that next year Jayac will join forces with Paulin, a neighbouring village, for this event which makes sense for economies of scale. Paulin however has everything on the same site so no candle lit procession and no strolling along the country lanes at midnight… a little more convenient perhaps but no doubt also a little less charm …. Lovely post, I was practically there with you! It’s always strange for me to have bonfire night in the summer. I almost expect to have to put on gloves and a woolly hat. That’s true! 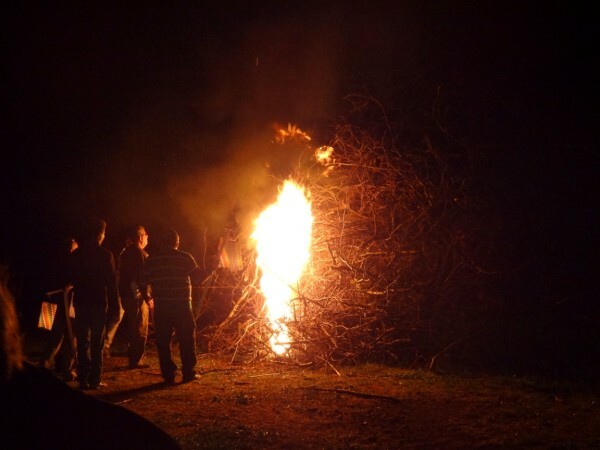 It can get fairly cool here late at night though so in just T-shirt & shorts, a bonfire can sometimes be very welcome!! I love those local festivals, religious and not. If there happen to be one in a country which we visit, we always go, it’s a fun day (or night) and a nice way to meet the local, enjoy local food and traditions, listen to some music, dance a bit. On our island in Croatia they do the “fishermen festival” in the summer and it’s quite fun!